He is a Romney/Shetland cross. And he and his brother are for sale!!!! 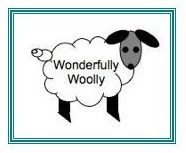 Please leave a comment or email me if you are interested......they would be a great addition to a fiber flock! !